Teacups have held the brew that has sustained revolutions, cultivated thought and nurtured friendships for thousands of years. 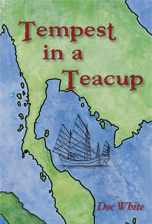 In Tempest in a Teacup, they hold all this and more – a long-lost treasure of incalculable worth – second chances. bond they had all along. 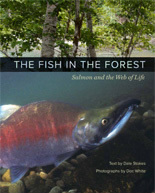 Visit the underwater forest that is home to wild salmon and all the other creatures that share this intriguing and endangeredway of life. Available Fall 2013 from Universityof California Press. 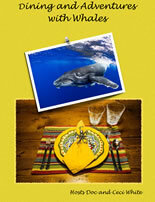 Doc and Ceci have compiled a cook book of recipies and adventures aboard their vessel and home, the RV Mystique. Not only are there great recipies, but also great adventures.